As the horses took to the track for the fifth race Saturday at Churchill Downs I started to get déjà vu. 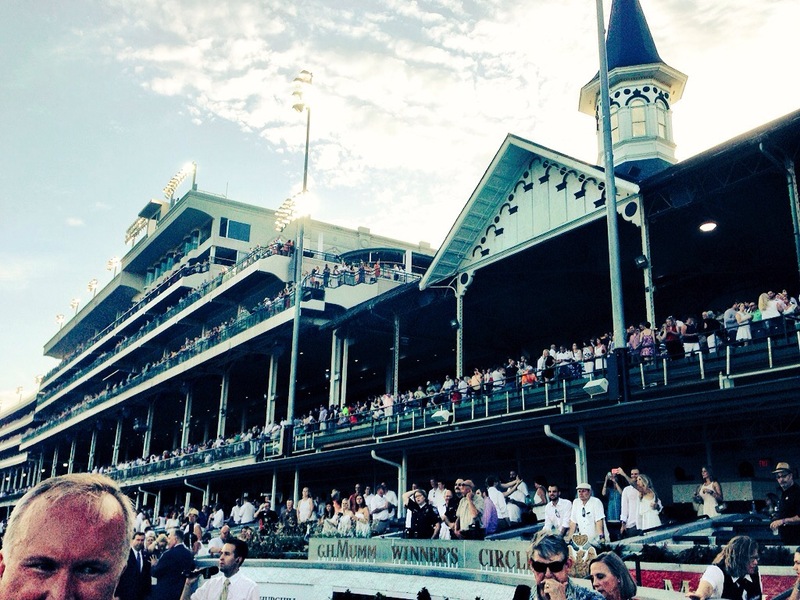 In the hundreds of races I’d seen under the twin spires, none pronged the attention of the loyal Louisville fan base quite like that of the Kentucky Derby. But this was different. 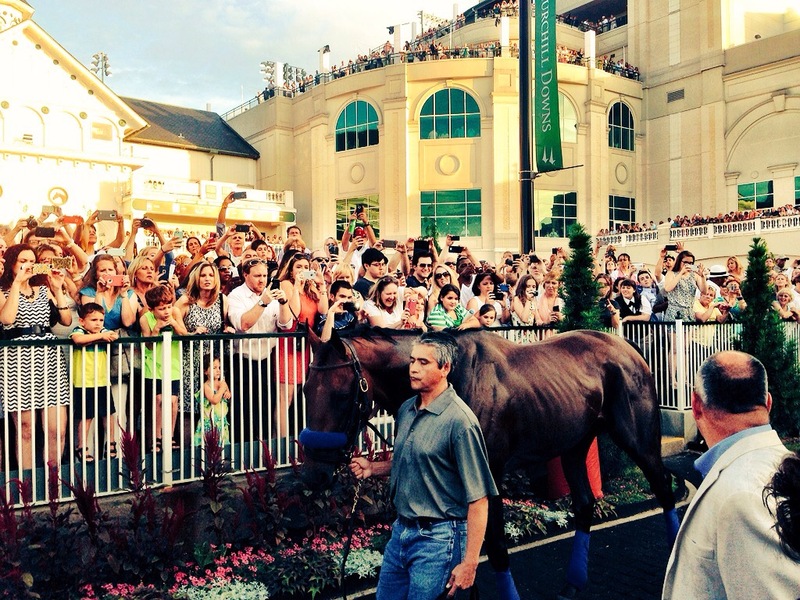 The Kentucky Derby had been run just six weeks earlier, yet fans still swarmed. Several lined the paddock in multiple rows, and all the way up and into the tunnel, just hoping to get close enough to capture the moment in the form of a cell phone picture. Others from farther away in the grandstand were moving in towards the center and up as close to the track as possible, because they knew if those closer seats weren’t occupied by now, that their rightful owners weren’t coming. After the fifth race ended, I moved down toward the winner’s circle and met at least 50 familiar faces from the media. Several were local, but some had traveled from different states and not solely for the sixth race. 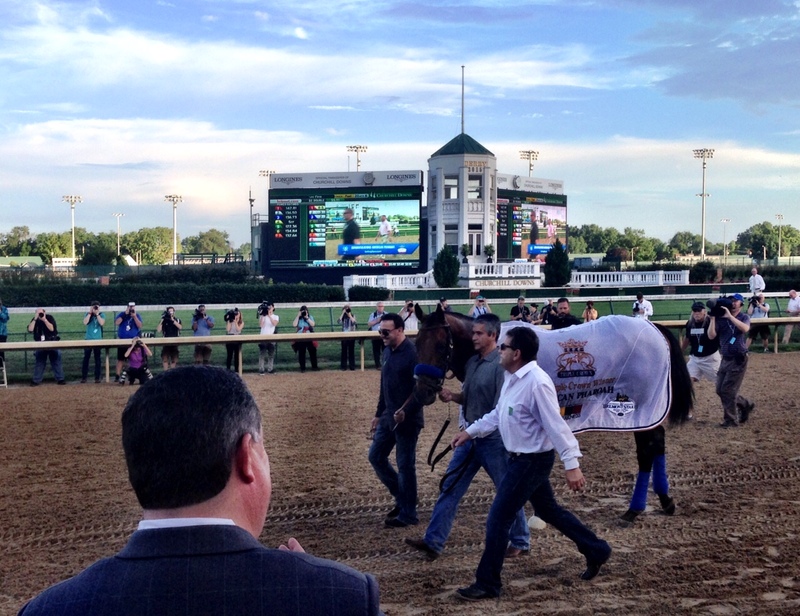 My former boss, Churchill Downs’ Communications Director Darren Rogers, directed us to stay in the winner’s circle until after the horse walked past the tunnel for the first time, and then head to the paddock. Before I knew it, there he was; the first Triple Crown winner in 37 years, American Pharoah, being led from the backside by two grooms with assistant trainer Jimmy Barnes walking alongside. The crowd erupted as soon as they saw him, draped in a white blanket that read, “12th Triple Crown Winner – American Pharoah,” and had the logos of the three races embroidered underneath the text. For some it was the first time they had seen him since the Kentucky Derby, but for more, it was the first and perhaps the only time they would get a real live glimpse of the colt that did the impossible. Ahmed Zayat and his family followed, receiving similar greetings. Once the connections got on the track, the media flocked to the paddock, surrounded by fans. 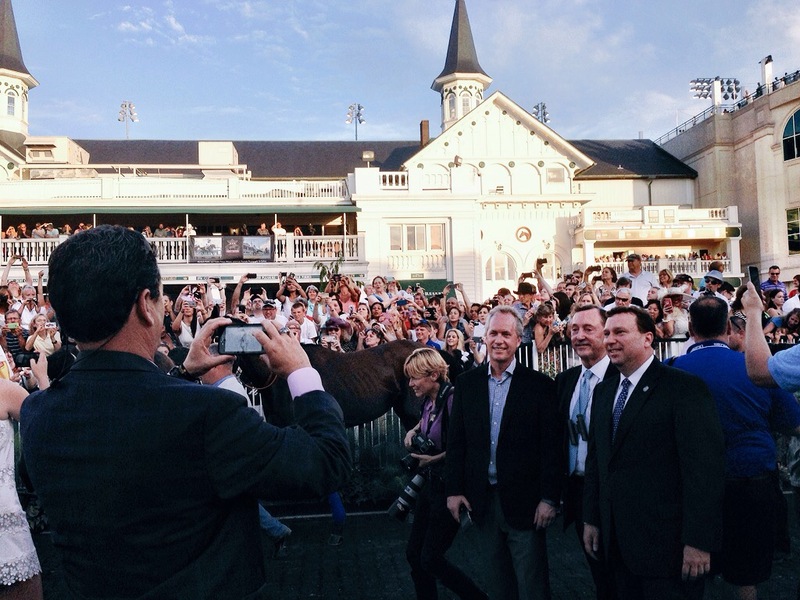 Even Louisville Mayor Greg Fischer was in the paddock, posing for a picture with the horse alongside successful Louisville attorney and horse-owner Ed Glasscock and Churchill Downs President Kevin Flannery. It was all so surreal. Hardly anyone noticed the seven fillies that simultaneously were paraded through the paddock for the sixth race, the Grade 3 Regret Stakes. American Pharoah stayed in the paddock for what felt like an hour, but really was only about half that. I saw a handful of media types glancing up at the paddock big screen with interest. “Oh yea, the Regret,” I thought to myself. I saw jockey Julien Leparoux guide a rallying Prado’s Sweet Ride to the finish line, beating out Lady Zuzu by a head while I was still in the paddock. The fans stuck around though, even after they saw American Pharoah walked back around the track toward the Baffert barn. They knew there was still some great racing to come, including a pair of Breeders’ Cup “Win and You’re In” races. Prior to the next race, a major contention of media, horsemen and fans stayed in the paddock as the field readied for the Grade 2 Fleur de Lis Handicap, a Breeders’ Cup Challenge race where the winner would receive an automatic bid to the Breeders’ Cup Distaff Oct. 30 at Keeneland Race Course. The crowd was surprised when jockey Jon Court and 32-1 Frivolous were able to hold off favorite Sheer Drama in the stretch, securing the Breeders’ Cup bid. After suffering a hand injury in the spring of last year, Court rode Frivolous to an upset victory in the Grade 2 Falls City Handicap in November at Churchill, marking his only graded win of 2014. Once again she came through for the veteran jock under the lights Saturday night, and you could see the happiness in his eyes as Breeders’ Cup executives Craig Fravel and Bob Elliston presented the trophy in the winner’s circle. Elliston and Fravel hung around, making their way back to the paddock before the featured race of the evening, the Grade 1 Stephen Foster Handicap. 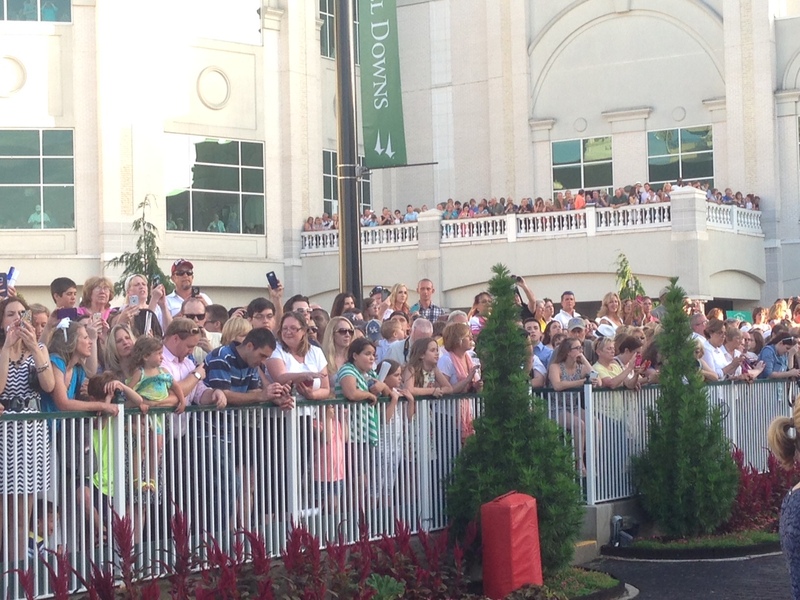 Fans again became excited around the paddock to see Baffert again. He saddled a pair of entries in Hoppertunity, ridden by Mike Smith, and Cat Burgular, ridden by Triple Crown-winning jockey Victor Espinoza. You could tell the fans wanted to see Baffert notch another big victory to his belt, but for the third time in as many stakes races, the betting public was a bit surprised. Not that Noble Bird was a huge upset like Frivolous, but he was the fourth choice behind Lea, Hoppertunity and Commissioner. You could hear more fans cheering on the favorite Lea when the two approached the wire, but Noble Bird held on by a neck. Norman Casse, assistant trainer to his father Mark, confidently tried to mask his enthusiasm as he led his new Grade 1 winner to the winner’s circle. Jockey Shaun Bridgmohan was equally excited to see the trophy presented. Getting a Grade 1 win is special, but knowing you have the first automatic qualifier for the richest race in North America (the $5 million Breeders’ Cup Classic) has to be icing on the cake. Island Town, trained by Ian Wilkes and ridden by Leparoux, ended the graded stakes on the Churchill Downs card Saturday by upsetting the Baffert-trained Fame And Power in the Grade 3 Matt Winn Stakes. 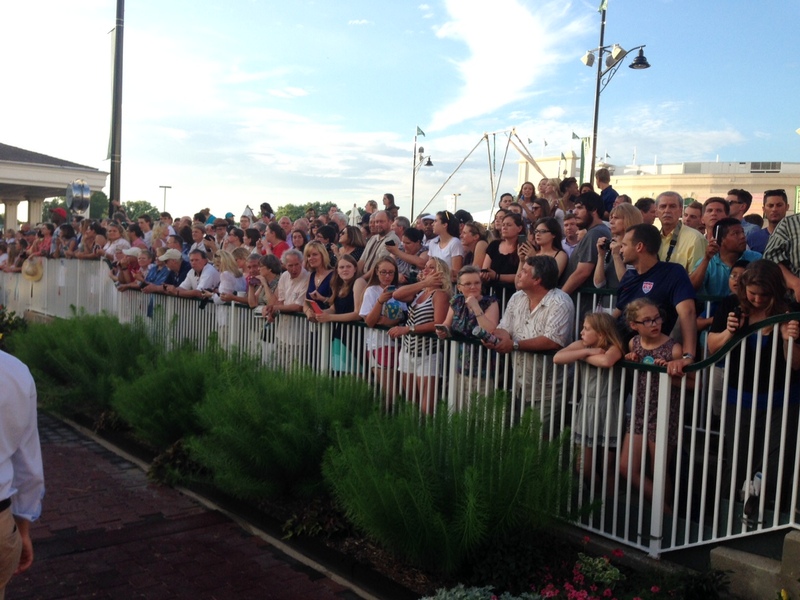 Stephen Foster night always draws a big crowd at Churchill Downs, but this edition was all the more special. I felt an excitement that I had never felt outside of being at a Triple Crown race before, and I was one of the nearly 29,000 in attendance paying homage to a rock star of a horse. 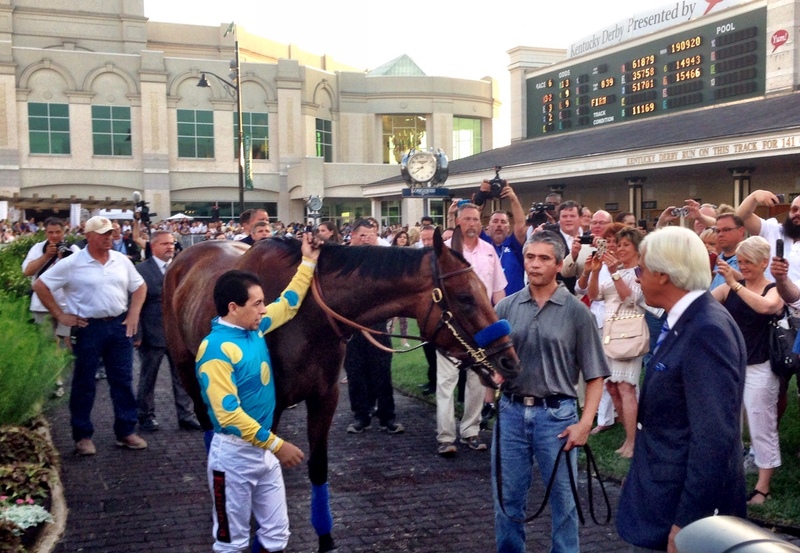 So from racing and sports fans everywhere, thanks again, American Pharoah.